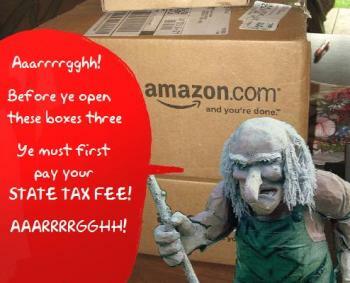 Should the e-commerce giants be made to collect and pay far more taxes on what they sell ? If the letter “e” looks alarmingly like the little yellow gobblers of the classic Pac-Man video game, perhaps there’s a reason. e has gobbled up my mail, leaving only the occasional card (and an overabundance of junk). e has gnawed the flesh and bones from my friends, leaving only their wall postings and, in the process, redefining the very notion of “friend” now that having 6,000 of them is something to be admired. And e has demolished bookshelves like a termite army, brick and mortar like a six-point-three, and state treasuries like a maraud of Visigoths. Listed as No. 1 in InternetRetailer.com’s Top 500 Guide, with online sales worth $34.2 billion, and a 2010 growth rate of 39.5 percent, Amazon.com has become synonymous with the battle individual states are waging to force online retailers to collect sales taxes on the states’ behalf. According to a report on InternetRetailer, the California State Board of Equalization (the state agency charged with managing sales tax collection) estimates that California lost $795 million in revenue last year – due to unpaid sales taxes and use taxes on sales by out-of-state Internet and catalog retailers. “Thus, a fundamental constitutional protection, not a mere policy choice, bars States from requiring remote sellers without nexus to collect sales tax, and the current debate is not merely about being pro-Internet or not (although that element also is present); it fundamentally is about whether remote sellers will continue to be afforded the constitutional protection they are due. ‘Sales tax nexus’ is the level of connection between a taxing jurisdiction and an entity such as a business. Until that connection is established, the taxing jurisdiction cannot require an entity to collect or remit sales tax. Amazon has a physical presence–and, therefore, nexus–in only Kansas, Kentucky, North Dakota, New York, and Washington, and it collects and remits tax on the sales it makes to consumers living in those states. But it’s not just sales tax revenue that makes having an e-commerce giant domiciled in your state attractive. Amazon recently announced the expansion of its distribution center in Grand Forks, North Dakota, much to the delight of locals, as more than 200 full-time jobs and hundreds of seasonal jobs at the facility will be created by the end of 2012. 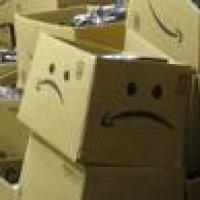 Meanwhile, down in South Carolina a standoff between Amazon and the legislature over whether the state would exempt the company from sales tax if it would just build a similar distribution center and create hundreds of jobs, has been on-again, off-again, on-again with more alacrity than a ducal honeymoon. On April 28, a bill allowing a temporary tax exemption was rejected. On May 18, a five-year tax exemption was passed by the House after Amazon sweetened the deal by upping the jobs to 2,000 local, full-time jobs with health benefits and promising to invest $125 million by the end of 2013. The company also pledged not to open a retail store in the state. Not all “conservative activists” are on board with the CBPA, however. Over on biggovernment.com, the reporting about eBay’s attempt to “defang” any California internet sales tax bill has suggested that the amount of money likely to be brought into the state’s coffers by taxing out-of-state online retailers who have some kind of presence (for example, through sales “affiliates”) in California is only about $200 million in 2012-13. Of course, eBay has a presence–and therefore “nexus”–in California, but many of the people who sell on the auction site live in other states, and therefore are not obliged to collect sales tax from their California customers and remit it to the state Board of Equalization. Although the statewide sales and use tax rate is currently 8.25 percent in California, more than three-fourths of all businesses in the state are located in or do business in special tax districts, according to the California BOE. Most of those districts encompass an entire countywide area. However, some districts are limited to a single city, or span several because they encompass a transit or utility district. Which brings us back to the objection raised by Misener in 2003 that the current sales tax regime is so complicated that complying with it “imposes an unconstitutional burden”. The unconstitutionality argument is still flying today, this time with Amazon’s founder and CEO Jeff Bezos telling Consumer Reports that federal legislation is required to address differing state policies on the collection of sales taxes from e-commerce companies. In fact, the federal government throws up its own hands in horror at the thought of consumers keeping every single purchase receipt to itemize for a sales tax exemption on federal income taxes, and provides a handy-dandy income-based guesstimator here. The problem of having to remit sales tax to any and every state and local in-state tax jurisdiction – if your enterprise is based somewhere else – is actually greatest not for the big on-liners like Amazon and eBay, but for the affiliates who sell on Amazon and eBay. They would have to register with every state they sell in, in order to file their monthly sales/use tax returns. And although it’s easy enough to find the sales tax for a particular address using sites such as this one from Pitney Bowes, the items that are tax-exempt differ from state to state and district to district. Frankly, in California, the whole thing could be solved by the state Board of Equalization using the IRS guesstimator to attach a Sales Tax Return to the Income Tax Return for everybody living in California. It would then be up to the individual to show that they indeed paid the sales tax at point (and click) of sale by providing receipts, just as they have to provide evidence that they or their employer paid their income tax. Surely that would make everybody happy. Amazon and other online retailers without a physical presence in the state wouldn’t have to pay sales tax; brick-and-mortar retailers would benefit because there’s no longer any big advantage to shopping online; and state and local tax districts would get their fair due. Except… wouldn’t that place an unfair burden on the individual, and be unconstitutional?